Monday 1st October – Australian Market Wrap | Beeks Downunder-Because not all financial news is boring! ASX 200 hit by 35 points to 6172 on bank sell-off. Off lows on thin volume. High 6199 Low 6154. Holidays everywhere. US – Canada signs new USCMA trade deal. Banks lead market down, as RC findings weigh. UBS sticks the boot in. CSL a bright spot. Resources fail to fire. Energy and staples under pressure. Aussie Gold slightly positive at $1647. US futures soar on Canada NAFTA deal up 175. Asian markets firmer with Japan up 0.35%. China closed for the week. LYC +2.51%% finding a support level. SXY +2.00% oil price helps. NUF -8.22% institutional entitlement offer succeeds. HLO -1.66% shareholder sell down. SDA -1.75% sellers still have upper hand. BLA +8.52% Oaktree loan deals gives hope. AGO +6.98% change in bid terms. RRL +1.08% pulls plug for Capricorn Metals (CMM) -17.28% bid. Speculative stock of the day: Biotron (BIT) +51.22% another good day following the run on Friday after Immunology trial success. Biggest fallers – NUF, UPD, API, AAC, SKT and APT. Northern Star Resources (NST) +0.60% Has successfully completed its acquisition of the Pogo gold project in Alaska from Sumitomo Metal Mining CO and Sumitomo Corporation. Northern Star will receive all financial benefits of Pogo from July 1, 2018 and as a result FY2019 production guidance for the company has increased to 850,00-900,00z at an AISC of $1,050-1,150/oz. Nufarm (NUF) –8.22% Has successfully completed its institutional entitlement offer, raising approximately $238m. Eligible institutional shareholders took up approximately 90% of their Entitlements, excluding Sumitomo who did not partake. A retail entitlement offer will open on Thursday, October 4th. Regis Resources (RRL) +1.08% Has announced the withdrawal of its acquisition proposal of Capricorn Metals (CMM) -17.28% after being advised that one of Capricorn’s key shareholders would not support the proposal, despite unanimous support of the board. Regis has ceased discussions and has no intention to initiate further discussions. They do, however, reserve the right to make a further proposal in the future. Infratil (IFT) –0.30% Have announced they are offering up to $125m of Infrastructure Bonds. The offers include a December 15 2024 due date with a fixed interest rate of 4.75% p.a. and a December 15 2028 due date with a fixed interest rate of 4.85% p.a. fixed for the first five years and then reset for the following five years. The offer will be made as an offer of debt securities of the same class as existing quoted debt securities under the Financial Markets Conduct Act 2013. Pilbara Minerals (PLS) +1.67% The first shipment of 8,800t of >6% spodumene concentrate from the Pilgangoora Lithium-Tantalum Project in WA is set to depart Port Hedland shortly, bound for customers in North Asia. Orocobre (ORE) –0.47% Have announced the appointed of a new CEO and Managing Director. Mr Martin Perez de Solay will take over the position after a global search by recruitment specialist Egon Zehnder. Martin will commence the role following the upcoming AGM, his initial focus will surround establishing strategy to optimise the operations performance of the Olaroz joint venture and associated growth plans. HelloWorld Travel (HLO) –1.66% CEO Andrew Burnes and Executive Director Cinzia Burnes have each sold 2,500,000 shares at $5.50 per share, while Qantas Airways Limited has sold 2,000,000 shares at the same price. Before the sale, over 70% of the companies stock was held by the top 3 shareholders, this figure has now reduced to 64.5%. The sales were effected in block trades to a number of new and existing institutional investors. Burnes stated that the sale represented an opportunity to broaden its shareholder base and improve liquidity. Rio Tinto (RIO) –0.14% Has signed an agreement to sell its entire interest in the Grasberg mine in Indonesia to Indonesia’s state mining company for $3.5bn. RBA tomorrow. Copy and paste expected. Melbourne Institute inflation index, which is up 0.3% month on month, a bigger increase than in September, and up 2.1% year on year. New orders rose to the highest level since March 2018, increasing by 3.0 points to 62.6 points in September. 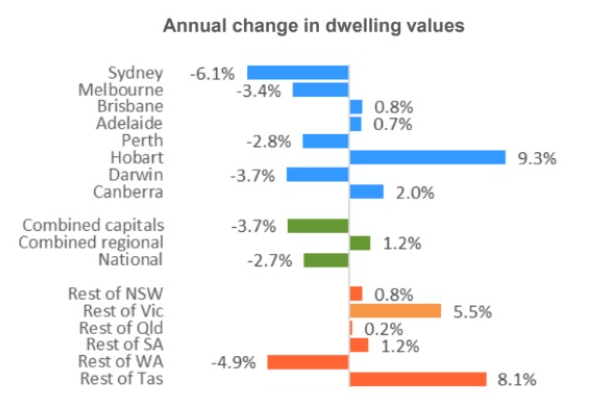 Dwelling prices dropped 2.7% on an annual basis across the country, with NSW, Melbourne, Darwin and Perth all contributing to the fall. Vietnam manufacturing growth slips to 10-month low. 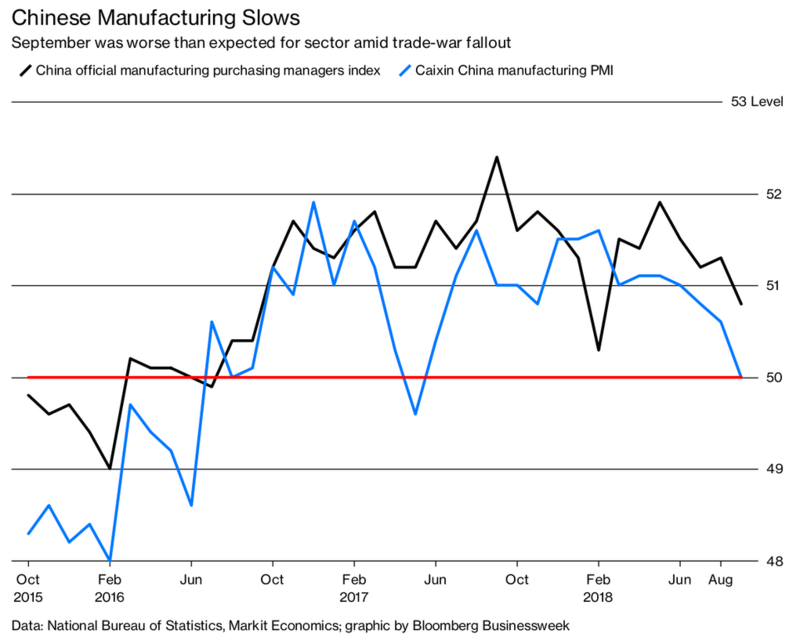 Taiwan manufacturing output slips for first time in 2 years. 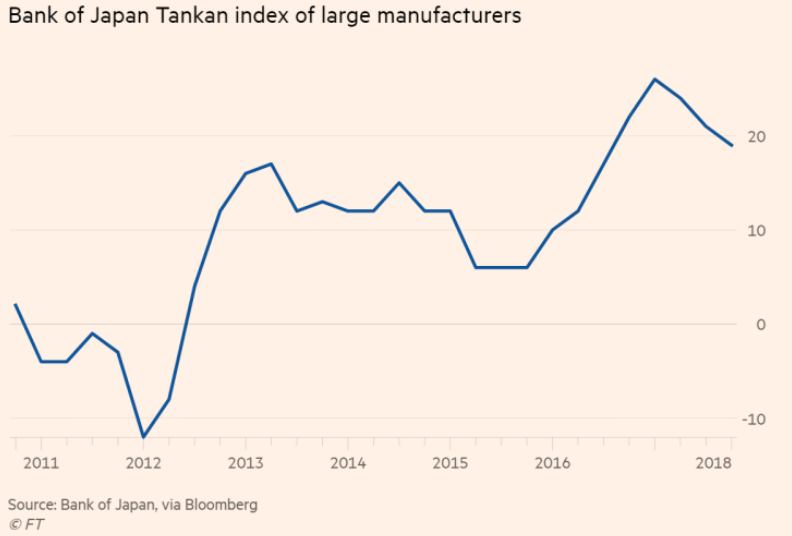 Japan’s manufacturing sector grew less than previously thought in September, according to a final reading on activity that showed output expectations had fallen to a nearly two-year low. Business sentiment at Japan’s top manufacturers fell unexpectedly for the third straight quarter in the three months through September. FTSE expected to open up 5, DAX up 44, CAC up 21. Brent crude at 4-year high. Italy on a collision course with its EU masters on budget plans. Credit ratings downgrades possible. The blonde, tired, just wants to take a nap, politely declines and rolls over to the window to catch a few winks. The lawyer persists and explains that the game is easy and a lot of fun. The lawyer, puzzled, takes out his laptop computer and searches all his references, no answer. He taps into the air phone with his modem and searches the net and the library of congress, no answer. Frustrated, he sends e-mails to all his friends and coworkers, to no avail. After an hour, he wakes the blonde, and hands her $500.00. The blonde says, “Thank you,” and turns back to get some more sleep. Without a word, the blonde reaches into her purse, hands the lawyer $5.00, and goes back to sleep. And you thought blondes were dumb.